Save BHD 1.56 (40%) – Earn 2 Shukrans What is Shukran? Shukran is the Landmark Group’s award-winning loyalty programme in the Middle East, which allows you to earn Shukrans when you shop any of our brands. 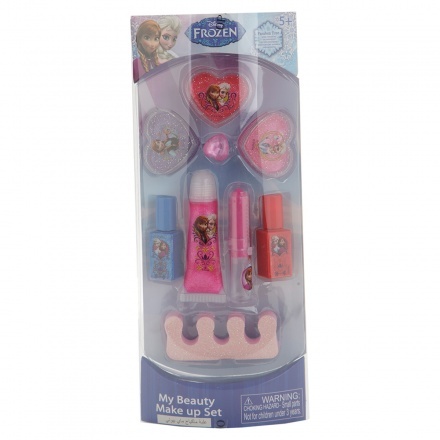 Your girl will admire the beauties of Frozen with this makeup set. It features lipstick, nail polish and other cosmetics to complement her looks. The embellishment ring and crown enhances its appeal.